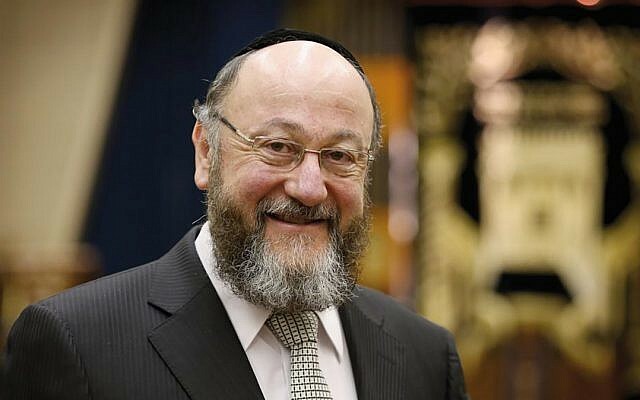 Two years ago, appearing before a committee in Parliament on anti-Semitism, British Chief Rabbi Ephraim Mirvis was asked his assessment of the problem in England. He took out a blank piece of paper and drew a black dot in the middle. In an exclusive interview with The Jewish Week during a brief visit to New York this week, he said he explained to the puzzled committee members that while they focused on the black dot, 95 percent of the paper was white. “I told them I’d be speaking to them about anti-Semitism, the black dot, but I wanted them to know from the outset that the 95 percent is also true”: overall, life was very good for British Jewry. 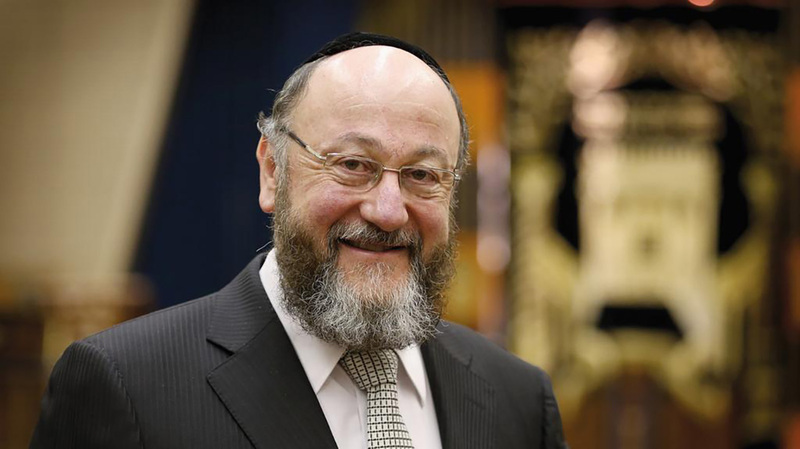 But Rabbi Mirvis, who is soft-spoken yet outgoing, noted that anti-Semitism is increasing among some segments of British society. That includes “the far right and radical Islam,” he said, and most notably and disturbingly of late, the leadership of the Labour Party. Party leader Jeremy Corbyn is widely considered to express anti-Semitism in addition to his strong opposition to Israel. Rabbi Mirvis has publicly spoken out on numerous occasions, expressing “deep concern” about the party not being sufficiently responsive to anti-Semitic remarks and behavior among its members. One concern among British Jews is that if Corbyn, a secularist, becomes prime minister, he would end government subsidies for the country’s parochial schools. There is even worry that he would reduce diplomatic ties with Israel and that as a result a significant number of Jews would leave the country. The current government has tightened its requirements on parochial schools to teach alternatives to the biblical version of Creation, which has become a problem for some Orthodox schools. Asked whether a gay person could become an Orthodox rabbi, he responded simply: “Orthodox Judaism embraces Torah law. It is what it is.” That especially applies to a rabbi who must uphold Torah law, he added, while emphasizing the need for compassion for all.